The PKI 5195 is a thermal camera combined with a customary surveillance camera. The combination of both techniques offers considerable advantages when operating the surveillance camera. It can be used in total darkness and even when there is smoke, fog, and heavy snowfall. The camera is also not blinded by bright light sources and thus enables continuous surveillance at day and night. 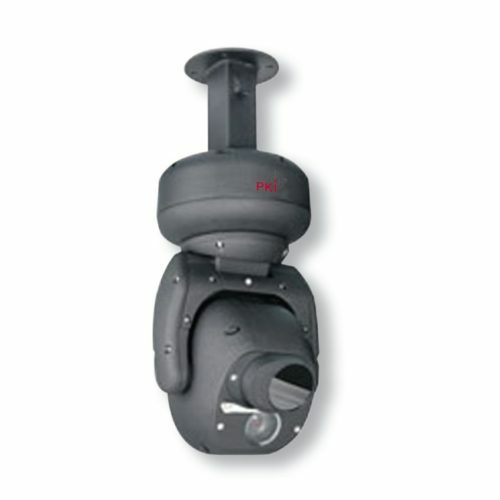 The PKI 5195 is provided with a PT head and can be moved in any direction. The video lens has a 36x zoom and an automatic lens wiper system. Detection of an intruder is possible at a distance of up to 1000 meters.